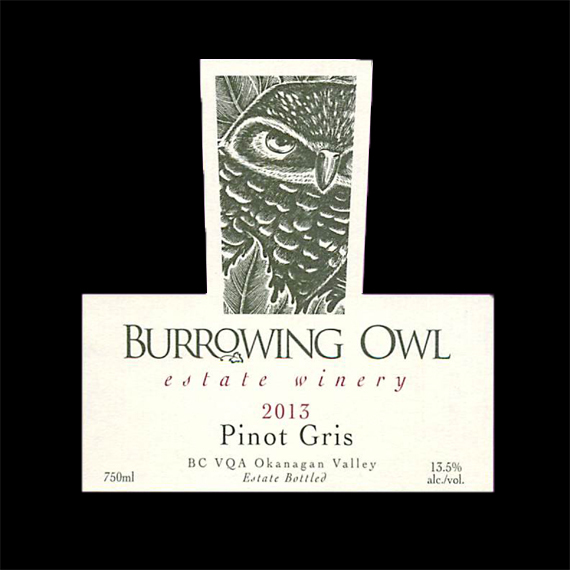 The 2013 Pinot Gris shows pronounced intensity of summer fruit aromas consisting of Asian pear, red apple, nectarine and melon with a hint of honeysuckle. On the palate it fills the mouth with a rich and round texture that is perfectly balanced with a zesty apple acidity providing vibrancy to the wine. The concentrated flavours of pink grapefruit, Asian pear, apple and nectarine mesh together well with a hint of spice on a lingering finish. 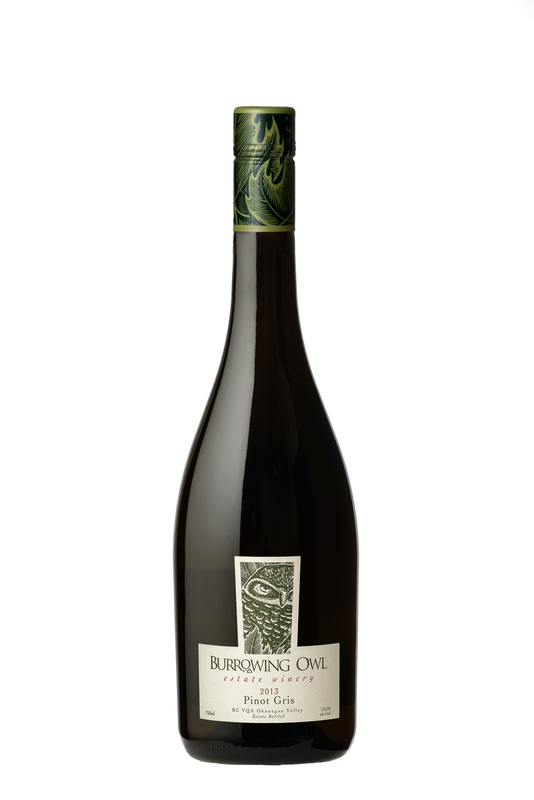 This wine would pair beautifully with grilled BC halibut served with a nectarine-apple salsa or for lighter fare, a Dungeness crab salad with local mixed greens. Spring arrived early in 2013, and was followed by a warm summer. This helped to produce good concentration levels of ripeness in the grapes. The cool autumn provided conditions for acidity to be retained in the grapes, giving the wine a lively freshness to balance off the ripe fruit. The grapes were hand harvested towards the end of September. Whole bunch pressing then occurred before the wine was sent into stainless steel tanks for a long, cool fermentation which helped to preserve the fruity aromatics as seen in the wine. A small percentage of wine was also fermented in French oak barrels to generate a hint of spice on the palate. Four different yeast strains were used during fermentation to generate a myriad of flavours, and add to the overall complexity of this Pinot Gris. There was no use of malolactic fermentation. The wine was left on its lees over the winter months giving the palate a rich texture and adding to the mouth weight. Minimal handling and intervention was used over this period until bottling.